Among the illustrious list of Premiership triumphs for the mighty Tigers, arguably none rank above their most recent. After finishing 13th in 2016, Richmond shocked the AFL world by storming to their first Premiership in 37 years. On the back of one of the greatest ever individual seasons from superstar Dustin Martin, the Tigers put together one of the more dominant finals campaigns in recent history. Go back through the vault to 1967 - which saw the Tigers narrowly defeat Geelong, marking the first premiership for greats such as Francis Bourke, Royce Hart and Kevin Bartlett and the beginning of a grand era of five Premierships in 14 years. Richmond have a grand history of memorable Grand Final moments - Official Memorabilia is giving you the chance to relive them all. 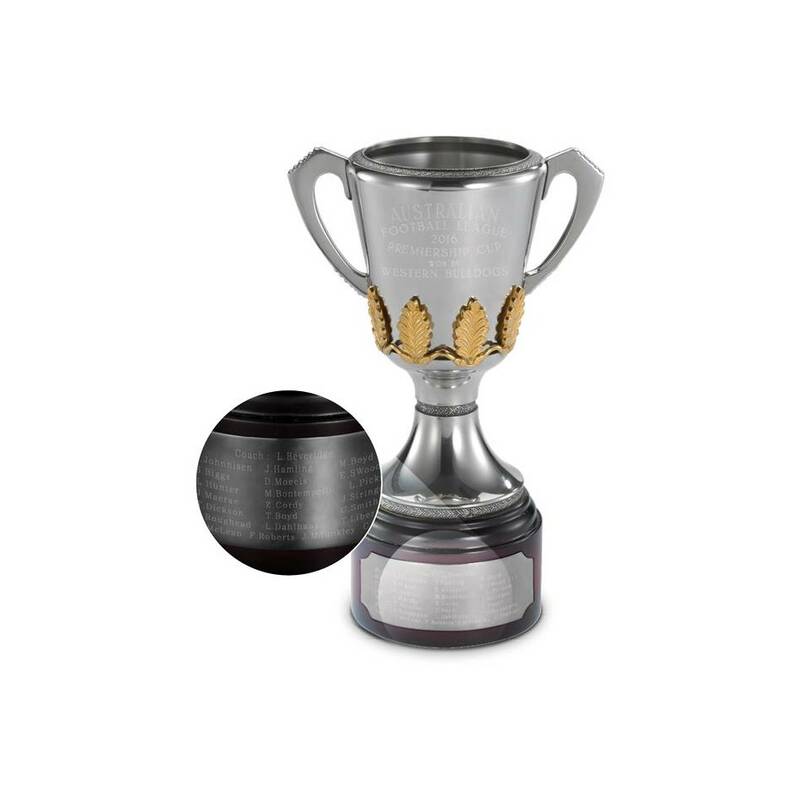 Commemorate Richmond's Premiership triumphs with a collectable pewter replica of unrivalled heritage and splendour. Each handcrafted Cup is composed predominantly of refined tin, with small proportions of antimony and copper added for strength and durability.